Comic fans, it's that time of year again, the 2015 Texas International Comic Convention known as Comicpalooza will be hosted on memorial day weekend May 22th-25th at the George R. Brown Convention Center in Houston. Expect to be blown away by all the excitement this event has to offer. If you're a true comic fan or just enjoy Sci-Fi, Fantasy and Anime like myself you must attend this year's Comicpalooza. You will be able to enjoy several different Comicpalooza events, live art, auctions, and meet/have your photo taken with some of your favorite celebrity guest. 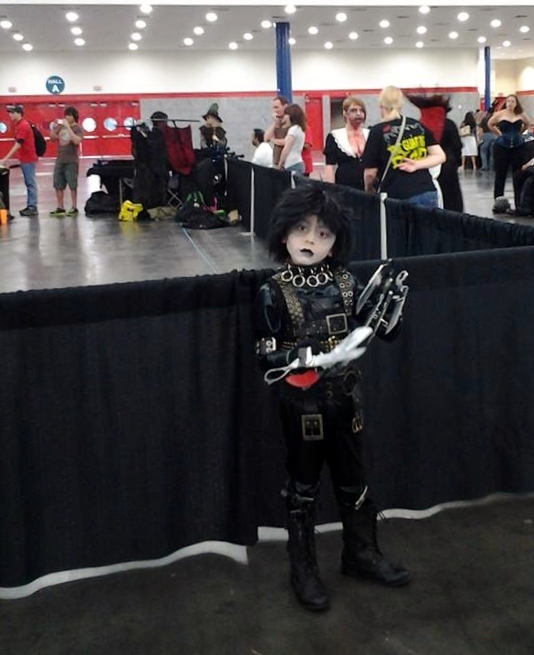 If you know me you know that Edward Scissorhands is one of my all time favorite movies; the last two years (2013 and 2014) I was able to snag a photo of fans dressed as Edward Scissorhands and check out my Star Wars Imperial March video from last year's Comicpalooza. 2015 Comicpalooza - Family 4 Pack of Giveaway (value $240.00)...How to Enter? I visited and liked Houston Comicpalooza on Facebook (Les Johnson). I follow @Comicpalooza on Twitter (@LesJohnson8). I am really excited about going to this. Would love to meet Laurie Holden. We are big Walking Dead fans at our house. it would be great to take my kids as they love several of the guests that will be there. Would LOVE to take my kids to this!!!! 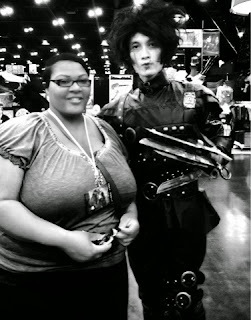 I have visited and liked comicpalooza on Facebook under Tiffany Robinson and also on Twitter @movietiffany. Thanks for the great goveaway! Thank you all for your entries! The winner of this giveaway has been selected and notified.